Since the start of 2015, my life has been a complete whirlwind. For the next few months, I am on a bunch of projects at work and find myself working across the state of Florida during the week. On the rare occasions I find myself home on a work night, the last thing I want to do is slave over dinner. I went from someone who enjoyed spending an hour plus cooking a meal to becoming someone who truly enjoys shortcuts and convenience. I drive to and from Tampa to Orlando once a week and a few times a month, back and forth between Tampa and Jacksonville. While many would cave in and get fast food on the road, I refuse to go there. My work life balance has been a learning process over the past 3 months and one thing that has helped me greatly is meal prep. I am not the type of person who preps meals for a week in advance, but instead I like to make things easy for those late nights I get home from work. I pre-cook items to turn into main entrees, such as shredded chicken or pork, which I can use for multiple entrees during the week. There was no question a Mexican night was in store after coming across Campbell's Soup for Easy Cooking, Mexican Style Tomato. 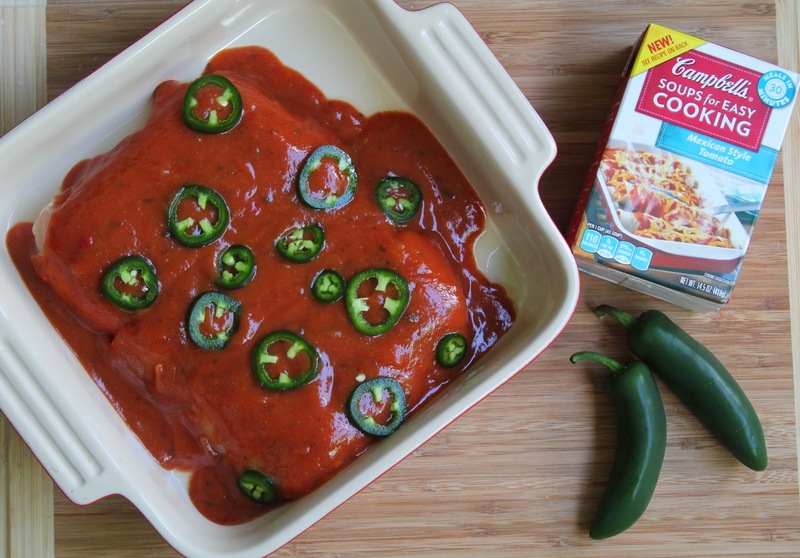 While I love an easy Taco night, my favorite at home Mexican meal is enchiladas and they are time consuming when made right. I also love cooking a giant pot of soup that I can eat off during the week. When I decided to use Mexican Style Tomato for shredded chicken, Chicken Tortilla Soup was also on the menu. On my day off, I shredded the chicken, along with meal prepping other items for dinners through the night. Normally, I would prepare this in a crockpot with double the amount of chicken but being we had a short week due to being in DC, I cooked half a portion. I used a half container of Campbell's Soup for Easy Cooking and poured it over my defrosted chicken breasts (3). I topped this with sliced jalapenos (seeds removed, I am a baby). I baked the chicken at 400 for 25 minutes, let it cool, shredded it and saved it for the following night. 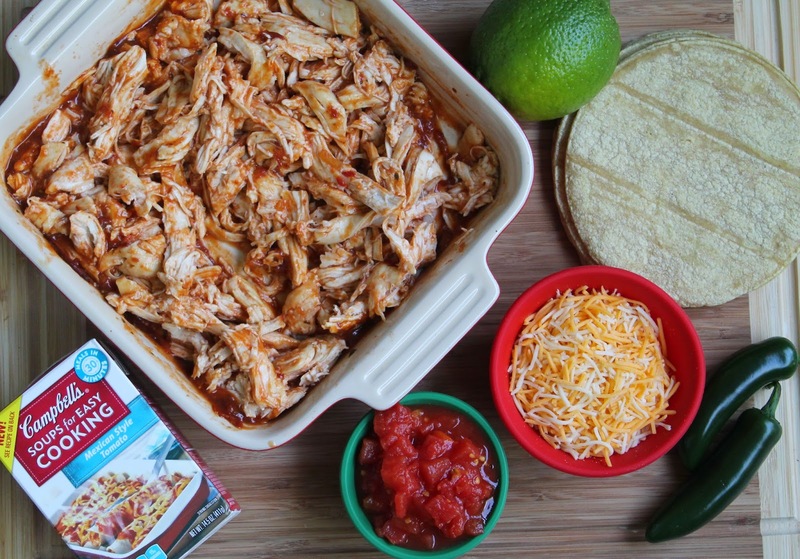 The next day, I used the shredded chicken along with other ingredients and made two meals in under thirty minutes. Both came out absolutely delicious and I have a feeling Campbell's Soup for Easy Cooking will become a staple in my house. 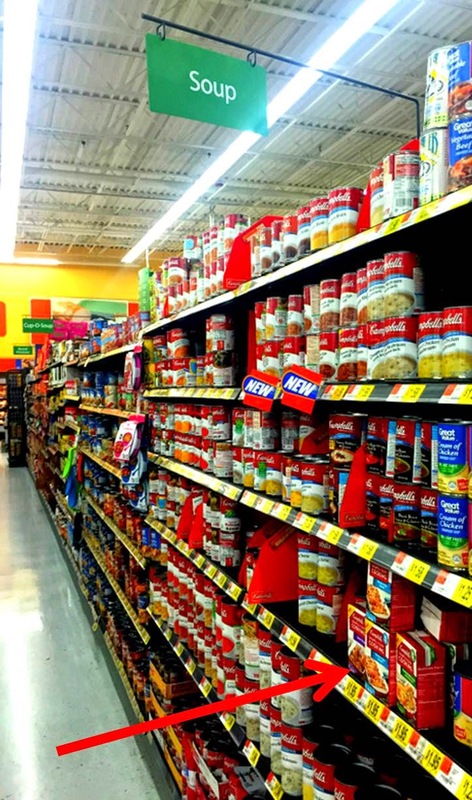 While that may seem like a lot of ingredients for a quick meal, most of the items are canned or only need to be cut. This soup was prepared and in the pot in less than 5 minutes. Saute your onions in olive oil over medium heat until translucent. Add garlic and jalapeno, cook for 3 minutes then add tomatoes and beans. Cook on low, stirring often for 5 minutes. Add your broth, chicken, lime juice and salt / pepper and cook for 15 minutes. 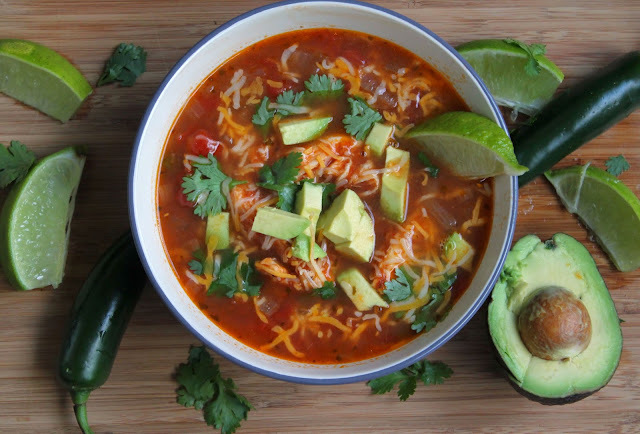 Place into a bowl and top with cilantro, avocado and shredded cheese. This was ridiculously easy to make. I took two heaping tablespoons of the chicken mixture, placed on a corn tortilla, topped with a bit of cheese and rolled. 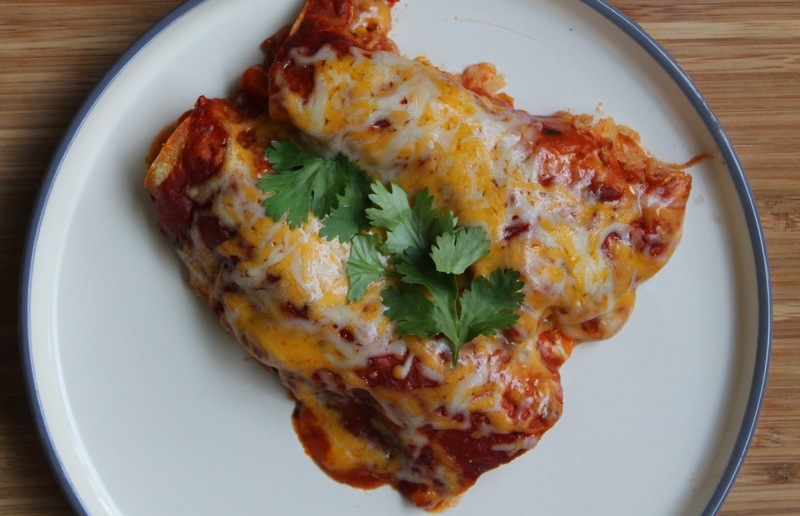 The enchiladas worked in the same 8x8 baking pan I used to cook the chicken in. I topped it with the box of Campbell's Soup for Easy Cooking, Mexican Style Tomato. Bake at 350 for 25 minutes, then top with 1/2 cup of cheese and bake for an additional 5 minutes, or until cheese is melted. Top with cilantro and sour cream if you want. I truly enjoyed the convenience of using Campbell's Soup for Easy Cooking. There are four variations on the market right now and it is easy to replace condensed soup with this flavorful cooking soup. Right now, you can save $.75 on a box of Campbell's Soup for Easy Cooking at Walmart with this coupon (launched on 3/13 and valid for one month).